The branch of OAO Generating Company Zainskaya SDPP became the laureate of the annual republican contest “ECOleader” among the enterprises and organization of all-Russian importance in the nomination “For achieving environmental safety in the activities of housing and communal facilities”. The ceremony of granting awards for the winners of the republican contests ECOleader and “People and nature” for 2011 took place on September 12 in the concert and restaurant hall Korston. The grand ceremony was attended by the Prime minister of the Republic of Tatarstan Ildar Khalikov, the deputy chairman of the State Council of the Republic of Tatarstan Rimma Ratnikova, the deputy prime minister — the Minister of Agriculture and Food Marat Akhmetov, the Minister of Ecology and Natural Resources Artem Sidorov, the Minister of Youth Affairs, Sports and Tourism Rafis Burganov and many others. Ilar Khalikov greeted all the participants of the ceremony. “Ecology is the environment we live in. It is the basement of human life activities, the health and world perception of a human being. The largest enterprises of the Republic of Tatarstan are investing billions of rubles annually in these activities. The companies, which became leaders this year is doing that not because of the legal obligations, this is the citizenship of their directors, the call of heart, their moral responsibility before the present-day reality, before the present day Tatarstan and the Tatarstan of the future”, — the Prime-minister of the Republic of Tatarstan noted. 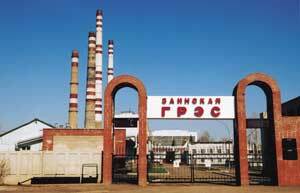 The winner of 2011 Zainskaya state district power plant takes up the leading positions in the sphere of environmental protection among the enterprises of the energy system of the republic. The core principles of their work are defined by the environmental safety strategy worked out by the company.